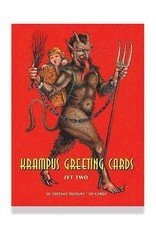 A deck of playing cards featuring 52 different Krampus images. 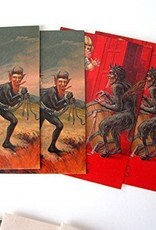 High-quality printing and lamination. 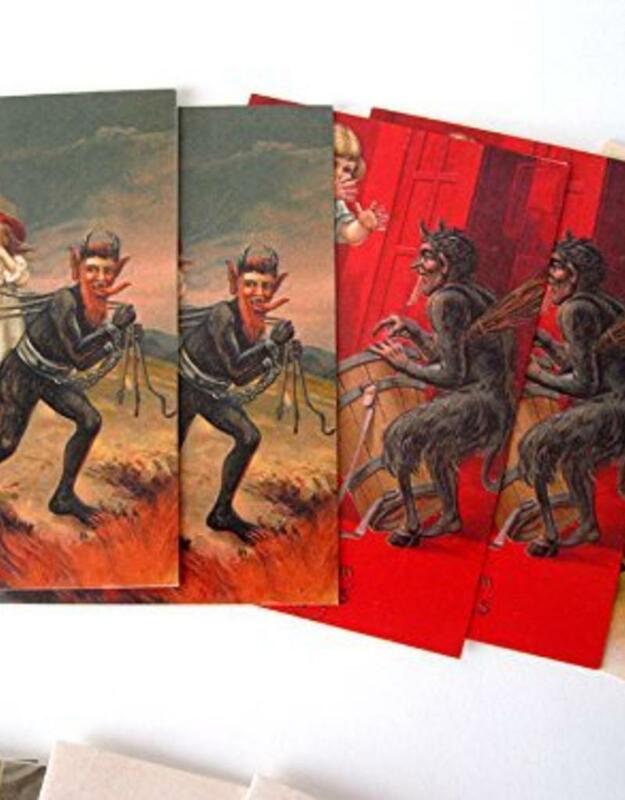 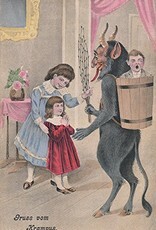 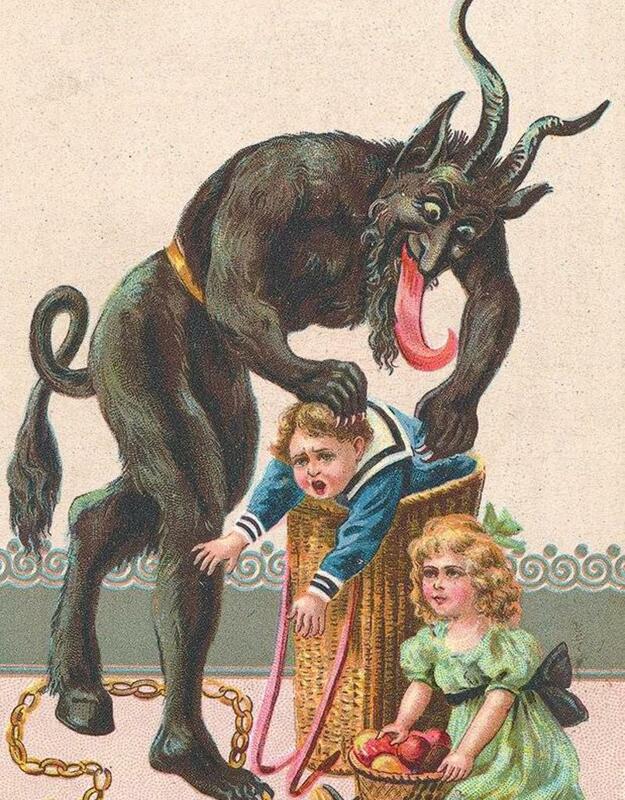 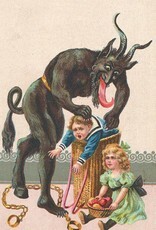 The images are reproduced from vintage, pre-WWI Krampus postcards. 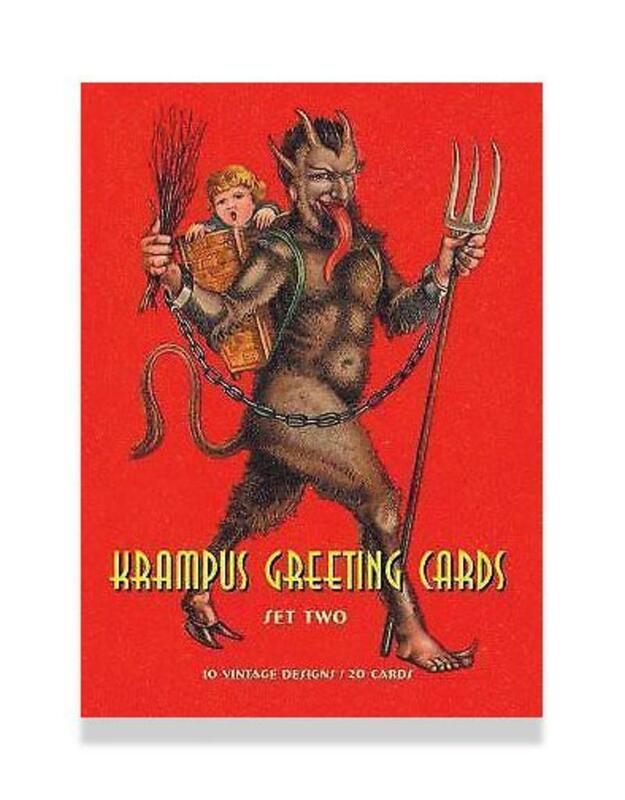 In the early Christmas traditions of Europe, the Krampus was St. Nikolaus' dark servant–a hairy, horned, supernatural beast whose pointed ears and long, slithering tongue gave misbehavers the creeps! 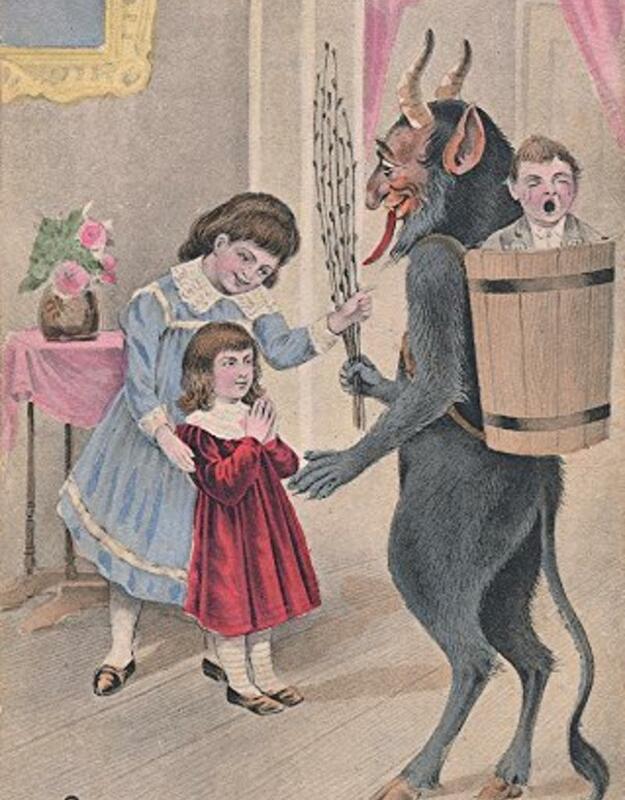 At Christmastime, St. Nicholas rewards children who've been good all year–but those who have behaved badly are visited by the Krampus!